Why Do Presidents Build Libraries? The tradition began when, instead of keeping his White House documents with him when he left office, Franklin D. Roosevelt donated them to the Federal Government. 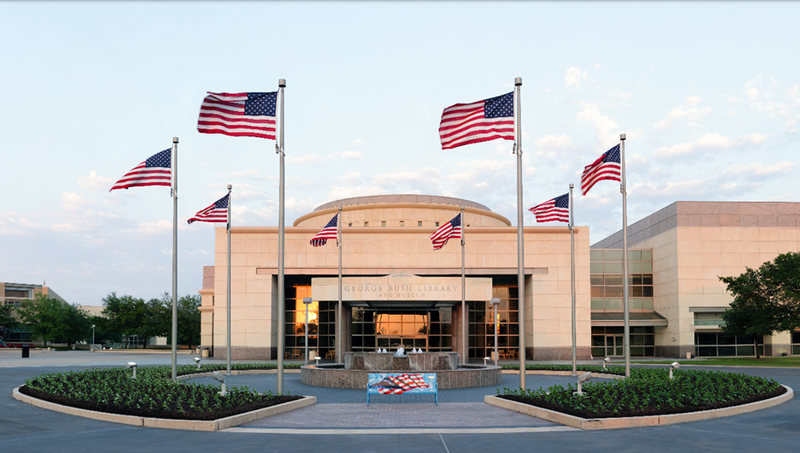 To showcase them the Franklin D. Roosevelt Presidential Library and Museum was built. By 1978 handing documents over to the government at the end of one’s tenure in office had become law since documents from previous administrations such as George Washington’s kept getting lost or destroyed. Libraries serve the purpose of complying with the law and a museum section builds a story of the President’s legacy. Money for the libraries is raised by a foundation while the President is in office. The foundation for George W. Bush raised $500 million. Because of this the libraries are biased to portray the President in a positive light – even for infamously notorious one such as Nixon. Over time, as the administration’s team begins to age and fade away, it is possible for the library to take a more critical view of the President’s legacy. For example Truman’s Presidential library wasn’t able to scrutinize the President’s decision to use the nuclear bomb against Japan until long after he had passed. As libraries age, and the President’s they’re focused on begin to fade from public memory, the libraries struggle to draw visitors. They can then be repurposed as community areas with events such as speakers. Nixon’s library is actually a surprisingly popular place to host weddings. Find out which Presidential Library is the most popular and which is the least, as well as many more details here.